There are a lot of stories about boy meets girl and fall in love. But ... What happens 20 years later, when love is gone and life is no longer graceful? "The future is not what it was" is a post-romantic comedy. The film will hit cinemas across Spain next September. 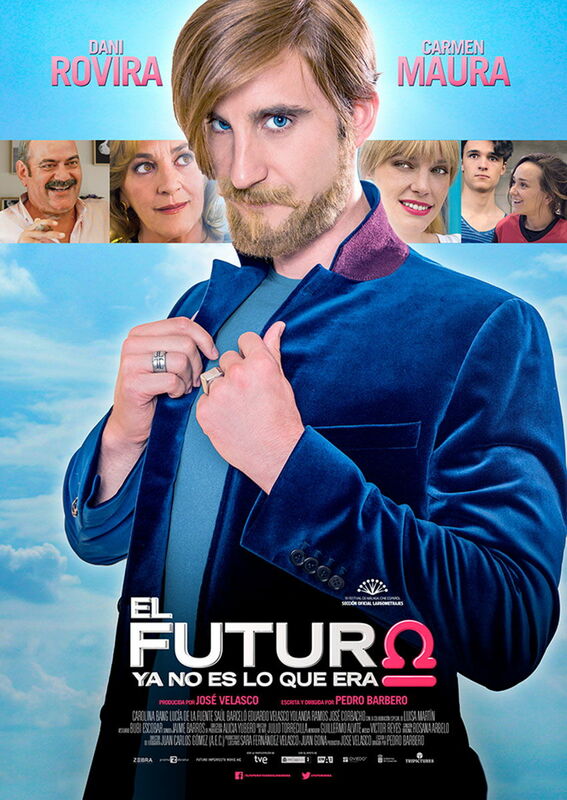 In this film, Dani Rovira accepts the challenge of playing two diametrically opposed characters, Kar-el, a bizarre and funny fortune-teller and Carlos, a father who has not grown up yet. He is accompanied by Carmen Maura, who plays the prestigious actress Carmen Segarra; Jose Corbacho as the histrionic director of a television network and Carolina Bang, who plays the mother character for the first time. "The Future is not what it was" starts at a crossroads, Carlos has received an offer of a national television to be the fortune teller star of a successful program. The dilemma is to continue with his imposture, accept the offer and certainly become rich and famous or throw it all away and fight for the dream of your life: Being an actor. When he is about to make a decision, an unexpected turn will precipitate the events. Before leaving Oviedo, something will happen that will change the future of Carlos and Kar-el. Directed by Pedro Barbero and starred by Dani Rovira, Carmen Maura, Carolina Bang, Jose Corbacho and Lucia de la Fuente and Saul Barcelo, together with stars as Luisa Martin, Yolanda Ramos, Javier Collado and Maria Jose Goyanes and Juanma Lopez Iturriaga. Produced by Jose Velasco, Zebra Producciones, Proima-Zebrastur and Future Imperfecto Movie A.I.E with the participation of Television Española and the support of ICAA, CreAsgr, the Oviedo City Council and the Government of the Canary Islands.